Transitions are always hard, or usually hard, for my children. For my oldest daughter, they are especially hard. Usually, one can see evidence of it being hard through body language, verbal negativity or hopelessness, and sometimes, even an obstinate refusal. These reactions are pretty common to those of us who have children who have general or social anxiety, or who suffer from anxiety themselves. The transition to Middle School for the first day was a hard one. There are many reasons that the first day was hard. The first was directional. Where am I supposed to be? She had a hard time understanding how the schedule worked, and where the classes were located. The second was relational. She didn't end up in class with anyone she particularly feels comfortable with. Because of that, she already felt uncomfortable. Add to that the older kids being mixed in some of the classes, and their verbal displeasure at having 6th graders in their class. This made her even more uncomfortable, which in turn, makes her feel the "flee" instinct. Third was disciplinary aspect. She was introduced to the concepts of tardy and lunch detention. This is causing her great anxiety. She freaked out the entire way to school, afraid she would be tardy. I am already anticipating that this will be a reoccurring source of anxiety for her. Once my car is fixed, and I am able to drive her to school, this anxiety will drop off since I am always neurotically early. Also part of the disciplinary aspect are the rules. My daughter is a rule-oriented child. Rules make things safe. They are good. They are also anxiety-producers. If she isn't sure if something is allowed, she will go to great lengths to not budge in doing it. Once we stayed at a hotel and she was not sure that kids were allowed. Huh? It was pretty unpleasant as she wouldn't leave the room until we could prove it. Yesterday, each class had a separate list of rules. She became overwhelmed at the thought of how she could remember each classes specific rules to "avoid" getting into trouble. "There are so many rules!" through tears, she said many times last night. I could see the hopeless feeling she was experiencing in her eyes. I am hopeful that today she has less anxiety, and is able to have a more enjoyable day. Otherwise, she will have all weekend to obsess about it, and build it up to the point of having trouble getting out the door on Monday. 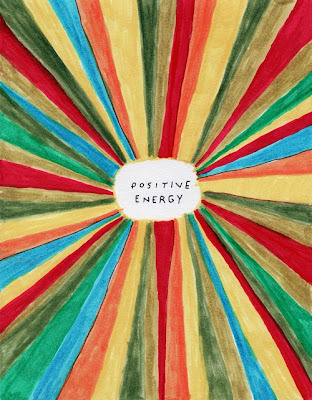 Send a little positive energy her way on Monday morning! I am sorry she had such anxiety about the first day, I do remember that J had a similar first day experience. It may have been the whole week, I don't remember exactly - it took a while for her to settle down into the new routine. Anyway, J told me yesterday that they will actually have 2 classes together in the afternoons - she was so excited! I hope A is too!